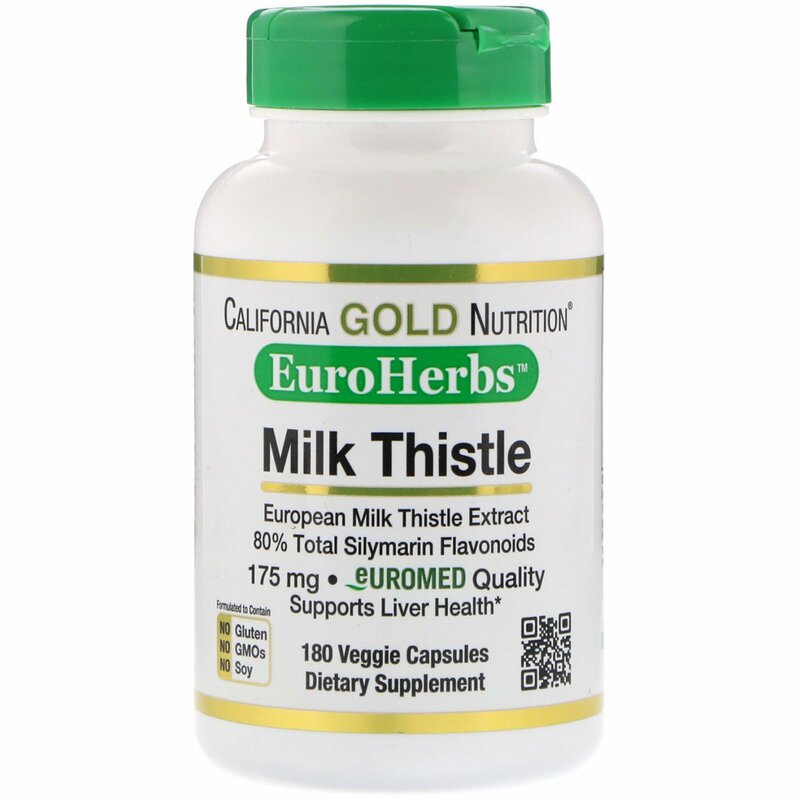 California Gold Nutrition EuroHerbs™ Milk Thistle contains an extract made from the fruit/seeds of European Milk Thistle Extract standardized to 80% Total Silymarin Flavonoids. 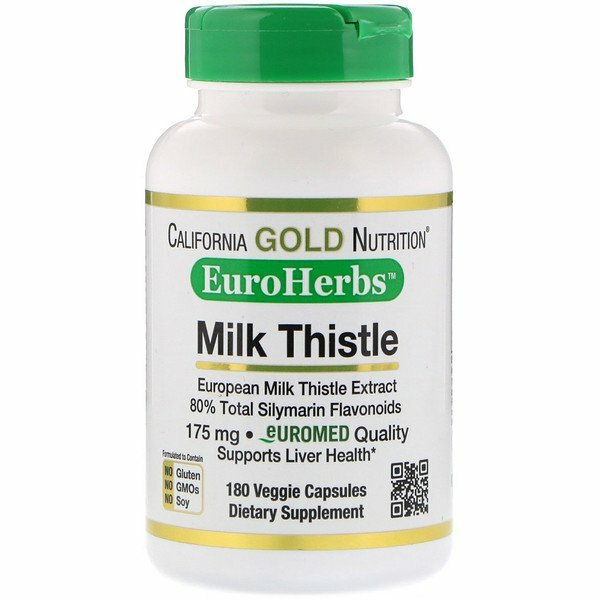 Euromed is the world's leading manufacturer of Milk Thistle extract and uses elite seed cultivators to produce a high quality, clinically tested product. 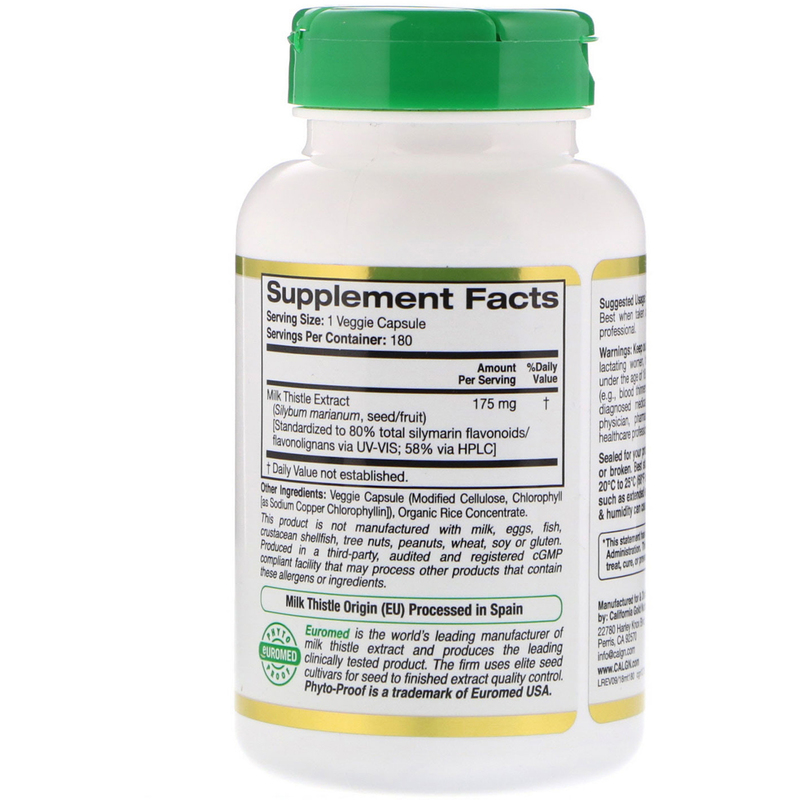 Take 1-3 veggie capsules daily with or without food, or as directed by your qualified healthcare professional. Sealed for your protection. Do not use if seal is missing or broken. Best stored at Controlled Room Temperature 20°C to 25°C (68° to 77º F). Improper storage conditions, such as extended exposure to direct sunlight, high heat & humidity can cause product degradation over time.